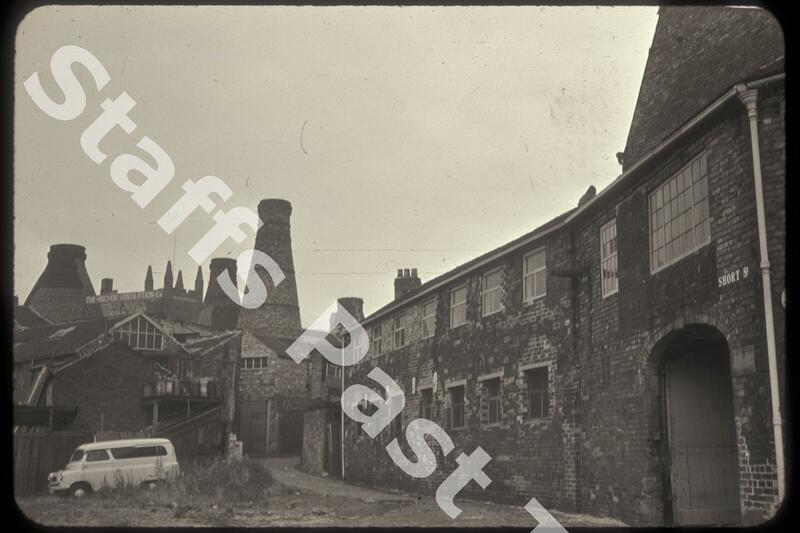 Description:This photograph was taken looking north up Short Street from Normacot Road. 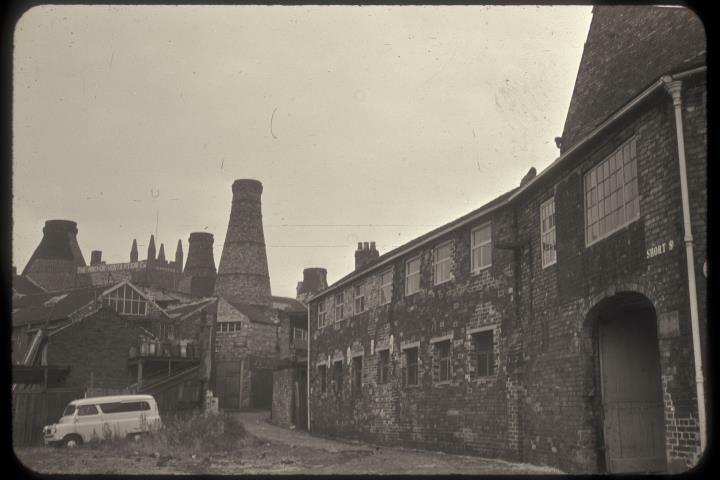 On the left are the four bottle ovens of the Enson Works. This mid 19th Century pottery had a variety of operators, latterly Spencer Stevenson & Co who produced bone china here from 1948 until the mid 1960s. Threatened with demolition, the site has been designated as the Short Street Conservation Area, with the ovens grade II listed buildings. The site is being developed as a technology and education centre. Originally the works was part of a large pottery on both sides of Chelson Street (then Bagnall Street) and the Enson site had the factory’s slip-making, finishing and packing works. On the left was a separate pottery, latterly occupied by Elizabeth May Pottery.